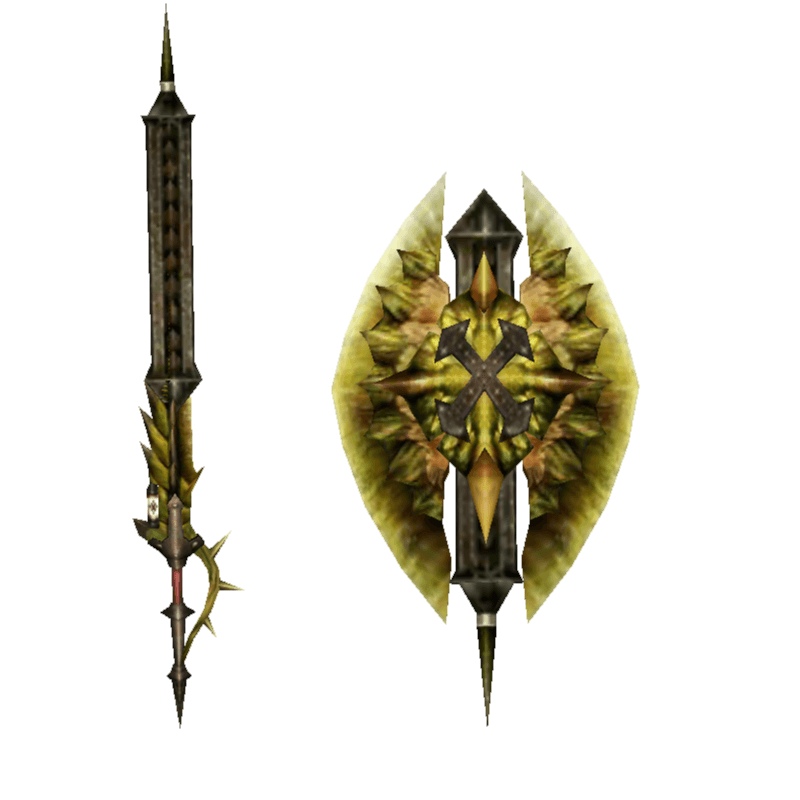 A Rathian Charge Blade, it houses an uncommon evil. Its thorns are a sign of the queen's personality. / The final form of Dear Lutemis. Its beauty is sublime yet severe at the same time.